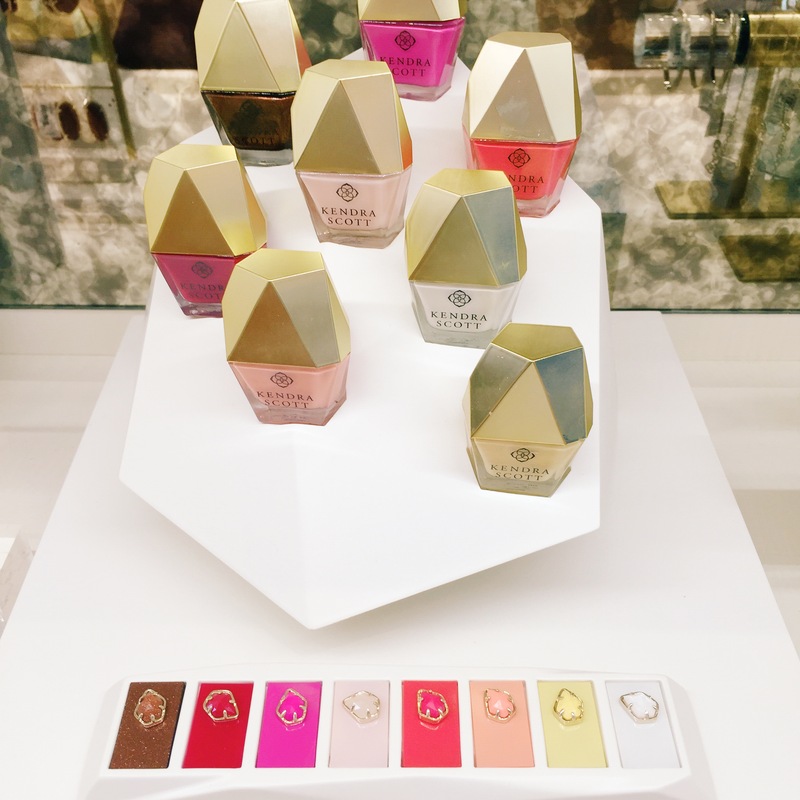 Yesterday Kendra Scott released their new line of nail lacquers. When I first heard about this I was super skeptical. Since they’re a jewelry brand, branching out to beauty products seems risky. 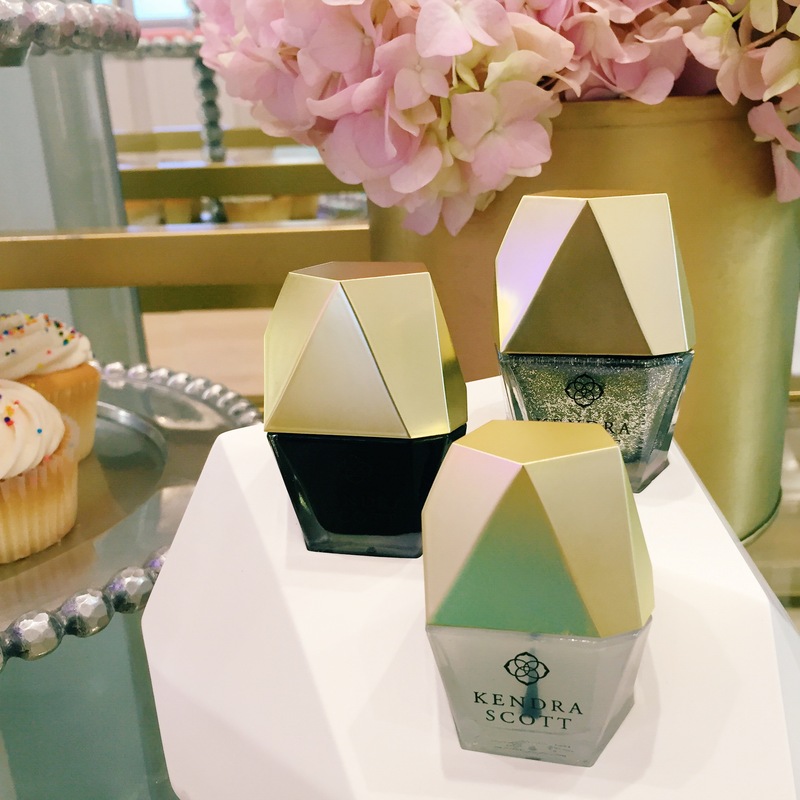 The Kendra Scott nail polish line totally makes sense buuuut seems risky. Kendra Scott is known for their pop of color accessories and gorgeous stones. Kendra’s goal was to have each nail lacquer color perfectly match with each stone. I mean who doesn’t want their nails to match their earrings? On top of their wide variety of colors their nail lacquers are 5-free, not tested on animals and made in the USA. Many nail polish brands, including Essie and OPI are 3-free, meaning they don’t contain possibly toxic ingredients. But 5-free polishes, like Kendra Scott, go even further and exclude camphor and formaldehyde resin from their products. 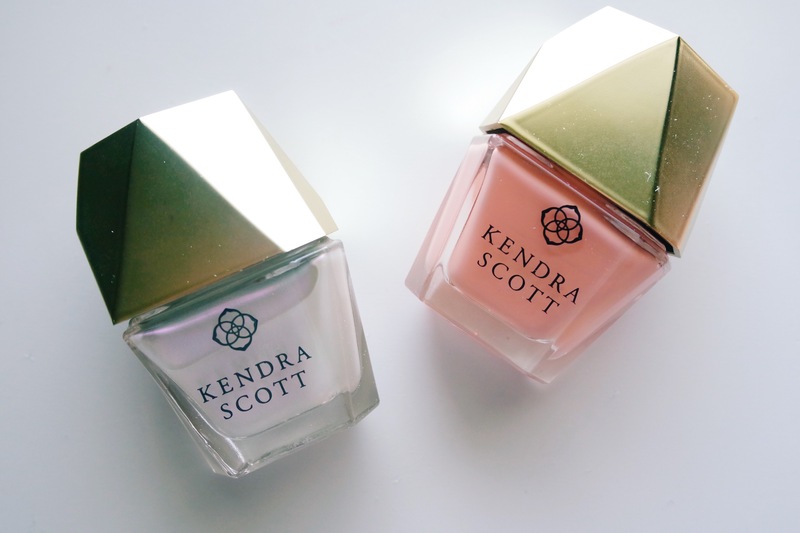 The Kendra Scott nail lacquers are very high quality and I was amazed at the opacity of the color after one coat. I initially layered on the warm iridescent shimmer color on top of the peach coral on my ring finger only, but like it so much I topped all ten off with the shimmer coat. The iridescent shade reminds of the ever so popular chrome or metallic gel nails that everyone has right now. I will definitely be layering the iridescent shimmer coat on with polishes I already have and seeing how it looks by itself. Although I’m thoroughly impressed with the nail lacquers the price point is definitely steep at $18 a bottle. It’s hard to compare this product to a brand like essie or OPI because of the designer qualities. 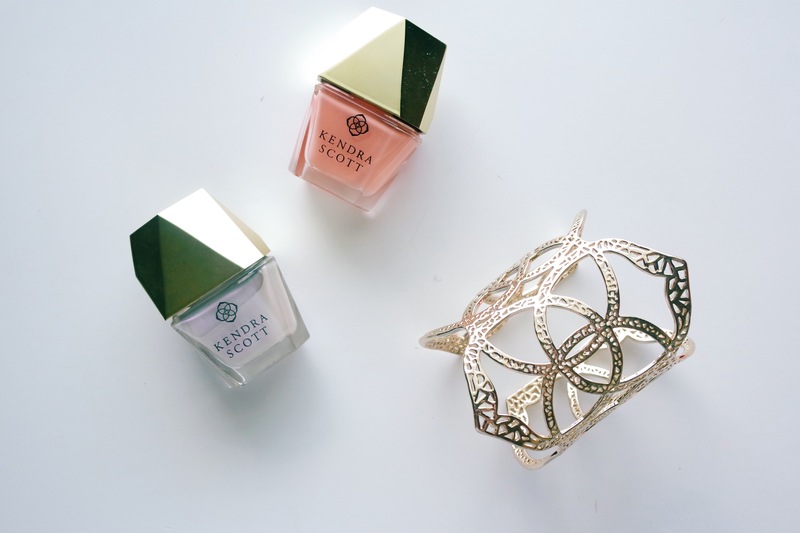 I would consider Kendra Scott’s nail lacquers more in line with the Butter London brand, which is $15 a bottle. I paint nails about every 5-7 days, so I’m interested to see how the Kendra Scott nail polish wears over time. Overall, the shades are gorgeous, the quality is high and if you love the brand it’s a no brainer. Thank you Kendra Scott University Park Village for gifting me with the Peach Coral nail lacquer. Nail polish matching with jewelry thats so awesome!